Free Coffee in Boston starting September 24, 2012! Today is National Ice Cream Sandwich Day-who knew?! 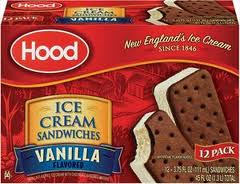 To celebrate, Hood will be giving out free ice cream sandwiches today at City Hall Plaza in Boston from noon to 2 p.m. rain or shine! If you’re looking for a mid-break snack, take a break and head to City Hall Plaza today!